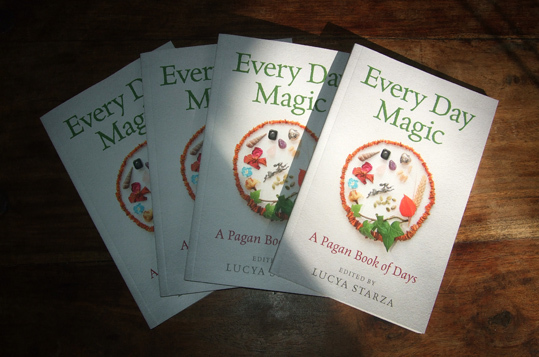 Here is an invite to the launch party for Every Day Magic - A Pagan Book of Days on Saturday afternoon, November 4, at The Atlantis Bookshop in central London. There will be a cream tea and shop owners Geraldine and Bali will make the place look lovely and twinkly and snuggly as by that time of year it will be dark outside. Every Day Magic contains contributions from nearly 50 pagan authors and practitioners from many different traditions across the world, including Atlantis' Geraldine Beskin (pictured below left), best-selling pagan authors Ellen Evert Hopman, Melusine Draco, Harmonia Saille, Rachel Patterson, Caroline Wise, Elen Sentier and other Moon Books writers. As well as coming up with the idea for Every Day Magic, I edited and contributed to it - and I have to say I am really proud of it. 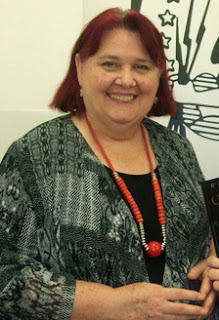 However, as it is a community book I will not be receiving royalties - I asked for any money raised from it to be used to help bring more pagan writers' works into publication. The book isn't due to be officially launched until November 24, but you will be able to see and buy early copies of the book at the launch party on November 4 and I will do some readings from it. 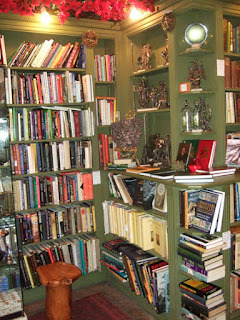 The Atlantis Bookshop is at 49A Museum St, London WC1A 1LY and the party runs from 4pm to 7pm. The launch event will be free to attend, but you will need to reserve a place in advance. Tel: 020 7405 2120 or pop into the shop to book your place - and possibly even sneak a very early view of the book if you ask nicely.